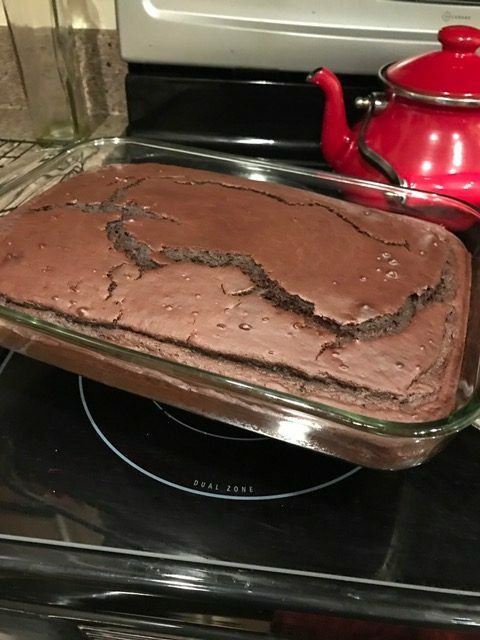 Three years ago, I posted this recipe for black bean brownies. I re-post it today with a new topping idea in time for Valentine’s Day! 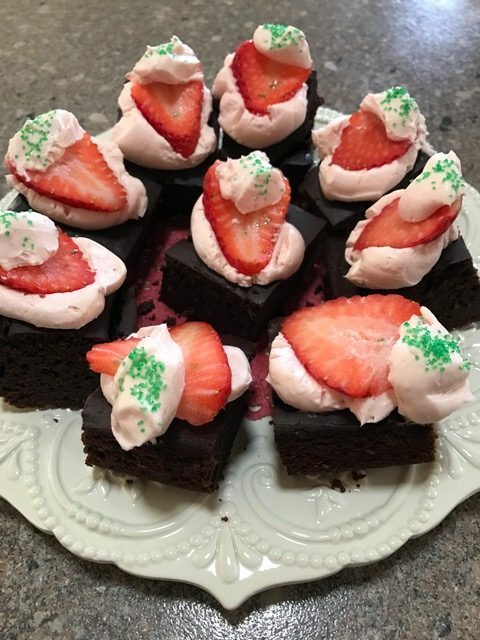 I took these (the strawberry version) to a luncheon today, and was reminded how nice it is to have a delicious treat, with no headache afterward. 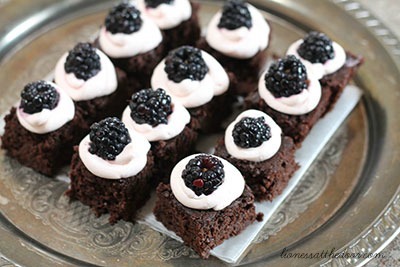 These are a little pudding-ish in the texture, not too rich, and pretty mellow with the deep chocolate flavor and the lightly sweet, whipped cream cheese on top. Use a little milk (any kind) to thin the frosting enough so that it will flow out of the bag easily. I left mine a little too thick today, so it wasn’t as controllable. 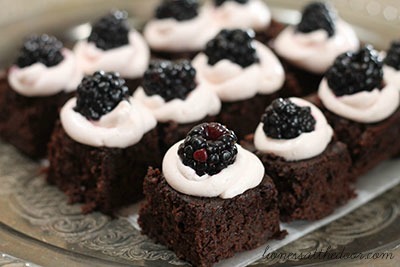 Using the berries for color adds to the “realness” of this whole-food dessert. I’ve been on a mental rant today, I’ll fill you in on the whole conversation soon. Just suffice it to say that, as a rule, I encourage clients to focus on adding good things to their diet instead of focusing on removing things, and over time they find that the less desirable foods will fall away. That said, at some point you need to give your taste buds a chance to re-acclimate to real. If you haven’t already experienced it, you’ll be amazed at how much your taste buds will “normal out” when you stop eating junk food. But in order to do that, you have to add in the good yes, but also make a commitment at some point to leave the empty calorie, refined, artificial color and flavor, food science mish-mash alone. (Can you hear the rant coming on?) I decided that just before Valentine’s Day wouldn’t be a fair moment to give you the whole thing! But it’s coming! Today, I’ll just say that I hope you’ll have a great day tomorrow treating yourself to a real food dessert…with no ornery, sugar fatigue later!